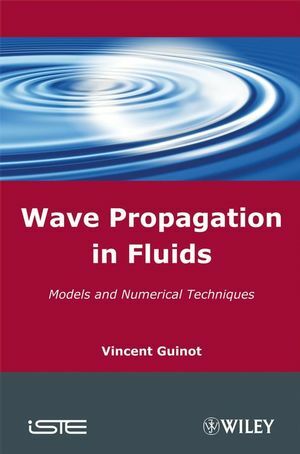 This book presents the physical principles of wave propagation in fluid mechanics and hydraulics. The mathematical techniques that allow the behavior of the waves to be analyzed are presented, along with existing numerical methods for the simulation of wave propagation. Particular attention is paid to discontinuous flows, such as steep fronts and shock waves, and their mathematical treatment. A number of practical examples are taken from various areas fluid mechanics and hydraulics, such as contaminant transport, the motion of immiscible hydrocarbons in aquifers, river flow, pipe transients and gas dynamics. Finite difference methods and finite volume methods are analyzed and applied to practical situations, with particular attention being given to their advantages and disadvantages. Application exercises are given at the end of each chapter, enabling readers to test their understanding of the subject. Vincent Guinot is professor of hydrodynamic modeling at the University of Montpellier, France. He teaches fluid mechanics, hydraulics, numerical methods and hydrodynamic modeling.